Aston Martin DB11 Volante Interior, Sat Nav, Dashboard | What Car? 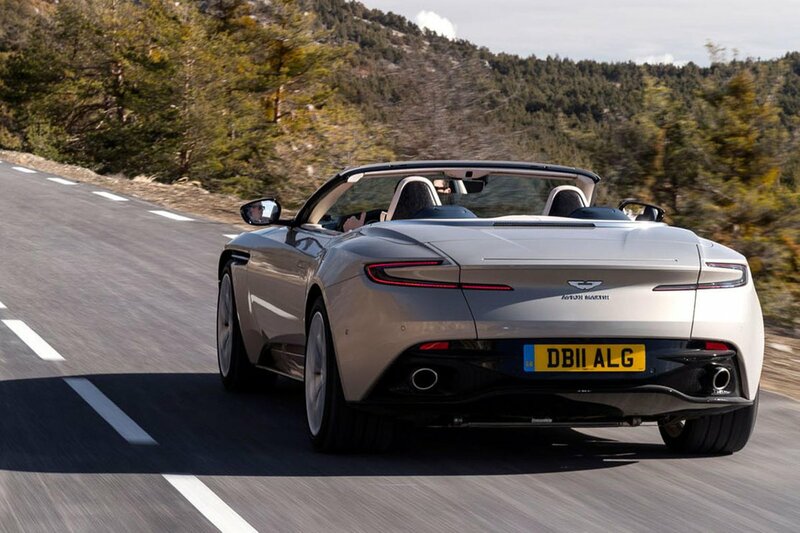 All shapes and sizes of driver should find it easy to get comfortable in the DB11 Volante, thanks to the enormous range of movement available via the electrically adjustable driver’s seat and steering wheel. In fact, together with the support the seat offers, which includes adjustable lumbar and side bolsters as standard, along with the perfectly aligned controls, the driving position is extremely hard to fault. This is a cockpit that feels enveloping and sporty, rather than airy like the more open cockpit of the Mercedes S-Class Cabriolet. Both styles are fine, and which one you prefer will depend on what you’re looking for. 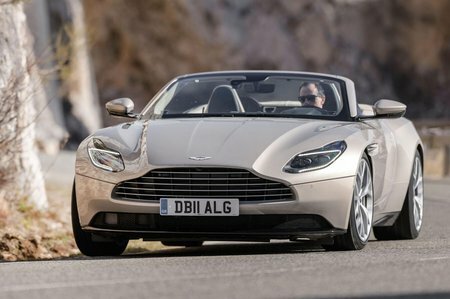 The only issue with the DB11 Volante is visibility. Because you sit so low in the seat and the dashboard rises relatively high, it can be tricky to see those nasty low kerbs in town. Meanwhile, through tight corners the comparatively thick windscreen pillars can get in the way. And then there’s the tiny rear screen to contend with, making seeing out the rear tricky. But, thankfully, manoeuvring is made less problematic by the standard-fit front and rear parking sensors and 360deg parking camera. Fit and finish retain the best bits from Astons of old and is generally very good. Soft, hand-stitched leather sits side by side with wood or carbon trim highlights, while any bits that look like metal tend to be metal, such as the heater vents. However, there are some areas where the S-Class convertible feels better-finished and it certainly generates a bit more wow factor. Unlike Astons of old, however, the craftsmanship is married to modernity. 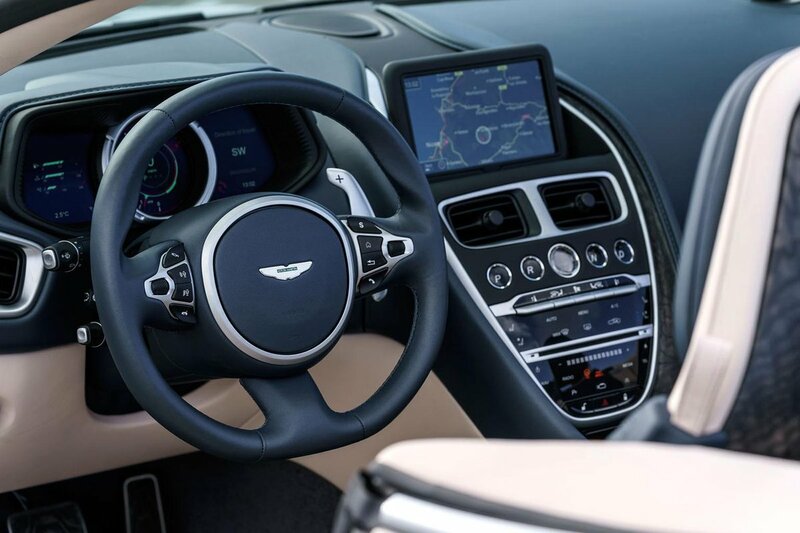 In the DB11 Volante, you get fully digitised instruments dials that prove easy to read, even if there’s not as much information on display as the enormous digital screens in the S-Class Cabriolet. In essence, you won’t find much difference in the operation of the infotainment in an S-Class or DB11, though, because the latter uses a Mercedes system. Yet, it’s not the most up-to-date hardware by other premium manufacturers’ standards, with a comparatively small and low-resolution 8.0in screen, menus that take some getting used to and laggy commands. It’s far better than the system in Astons back in the day, though, and at least you operate the screen using a rotary controller and shortcut buttons on the centre console. This is far less distracting to use on the move than rivals with touchscreens.